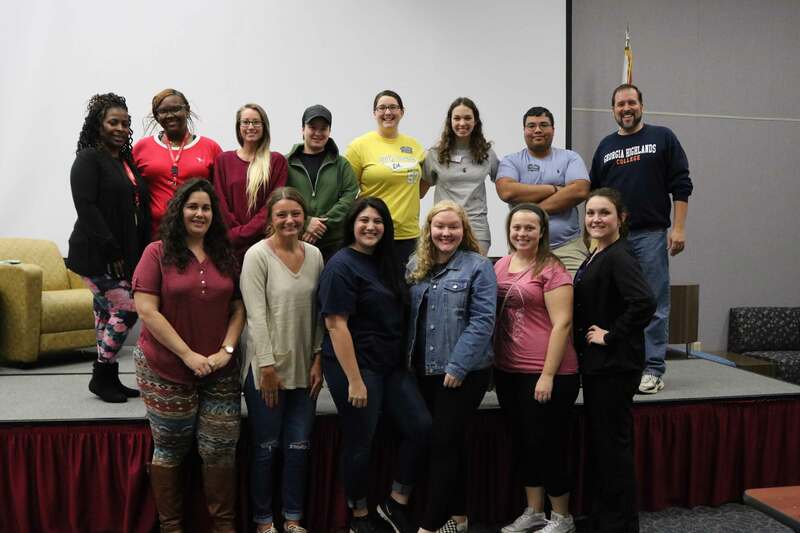 The Student Government Association (SGA) at Georgia Highlands College collected nearly 300 pounds of relief items and travelled to Panama City, Florida, to aid Gulf Coast State College in the aftermath of Hurricane Michael. Hurricane Michael made landfall in Florida on October 10. It was one of the most intense hurricanes to hit the United States in recent years. To date, over 60 deaths and almost $15 billion in damages have been attributed to the storm. Gulf Coast State College (GCSC) was one of many places affected by the hurricane. Shortly after the storm in October, GHC’s SGA started a relief drive to collect items for those at GCSC, a college comparable in size and structure to GHC. By the end of the drive on November 16, students had collected items from all GHC’s locations. The SGA packed and loaded nearly 300 pounds of relief items, including boxes of assorted clothing, over 60 pounds of nonperishable food, cases of water, tarps, various toiletries and hygiene products, sleeping bags and an assortment of other items like cleaning supplies, flashlights, bungee cords and storage tubs. Just before Thanksgiving, SGA drove all the supplies down to Panama City. It took nearly six hours to reach their destination. Once the SGA students arrived at GCSC, they learned the college had lost one building and the rest of the campus was damaged by flooding and broken windows. GCSC’s SGA students even reported that half a dozen boats had been displaced from the nearby bay and were blown onto their campus, which had to be removed before they could re-open. GCSC was closed for three weeks after the storm. Currently, the college has opened its library for 24-hours a day so students have access to a place with wi-fi. Additionally, GCSC is providing one free meal a day to all students, faculty and staff.